Hart of Dixie "The Pirate & Practice"
Full House "The Miracle of Thanksgiving"
About 40 million people, between ages 18 to 34, watch holiday TV specials. 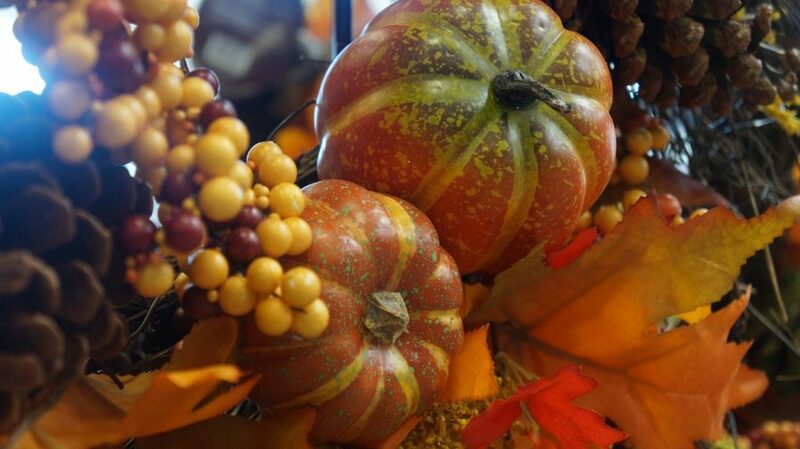 Thanksgiving is a national holiday that is celebrated in America, Canada, and other countries. Many Thanksgiving TV specials are made every year by many different TV shows and programs. According to CNN, about 50 million people watch the Macy Thanksgiving parade every year. The Macy Thanksgiving Parade is a parade that happens every year in New York City on Thanksgiving. In addition, the parade includes huge balloons of different characters, decorated themed floats, and performances by different singers. Also the parade includes broadway performances and marching band performances. At the end of the parade Santa Clause comes out and wishes everyone a happy holidays. If interested the parade will air on Thanksgiving at 9 A.M. on NBC. After, The Macy’s Thanksgiving Parade, The National Dog Show premieres. This program shows more than 300,000 caines competing at a dog competition. This TV special takes place in Philadelphia, PA. Lastly, this program will air on 12 P.M. on NBC. Some good kid friendly Thanksgiving specials are Bugs Bunny Thanksgiving diet, A Winnie the Pooh Thanksgiving, A Charlie Brown Thanksgiving, and many more. In addition, there are Thanksgiving TV specials for many drama series. Some drama series that have an Thanksgiving special are Chicago Fire, Friday Night Lights, Glee, Grey’s Anatomy, ER, etc. Lastly, there’s Thanksgiving TV specials for teenage dramas. Some teen drama Thanksgiving specials are One Tree Hill, Gilmore Girls, Dawson’s Creek, etc. All of these Thanksgiving TV specials can be found on YouTube or Netflix. Lastly, there’s football on Thanksgiving for any sport fans. NFL games have been playing on Thanksgiving since 1920. Even though there’s many Thanksgiving TV specials, these are my top five picks to get you in the holiday spirit. Based on Friends popularity, this Thanksgiving special had 23.9 million viewers when it first aired. Friends is about six friends that live in NYC and their daily lives. 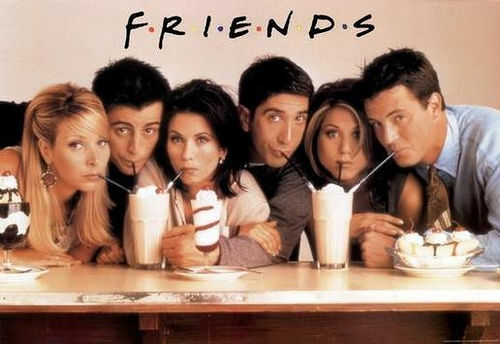 The six friends are Rachel Green, Chandler Bing, Monica Geller, Joey Tribbiani, Phoebe Buffay, and Ross Geller. This episode showed the Geller’s, Green, and Bing worst Thanksgings together in flashbacks. This is my favorite Thanksgiving special of all time. This episode in my opinion is one of the funniest Friends episodes in the TV series. The episode is very funny and different from any other Thanksgiving episode I have watch. Instead of showing, one big family the episode showed the four friends worst moments. I find this episode very refreshing and realistic. All the Thanksgivings I have been to had at least one awkward moment. This episode shows all the hilarious awkward moments. In addition, this episode is when Monica Geller puts a turkey and sunglasses on her head to cheer up Bing. You can’t get any more Thanksgiving than having a turkey on your head. That scene made me laugh and made me realize the little small things in life matter. I would highly recommend this episode for a good laugh. The popular TV series is on Netflix. This episode is on season 5, episode 8. Last year, A Charlie Brown Thanksgiving had 7.4 million viewers. A Charlie Brown Thanksgiving includes most of the Peanut characters in this special. Peppermint Patty invites herself, Marcie, and Franklin over to Charlie Brown’s house for a friends Thanksgiving. Meanwhile Brown has plans to go over his grandma’s house for Thanksgiving. Brown, his dog, Snoopy, and Linus Van Pelt prepared a meal for the friends. Snoopy served butter toast, jelly beans, pretzel sticks, and popcorn. In my opinion, this is a must-watch classic Thanksgiving special. I’ve been enjoying this classic since I was five years old, so not watching this special just feels weird. This episode shows viewers that it doesn’t matter what you have for Thanksgiving dinner. In my opinion, the most important part of Thanksgiving is to be surrounded by the people you love and the people you are thankful for. Also Snoopy and his friend, Woodstock are always fun to watch. 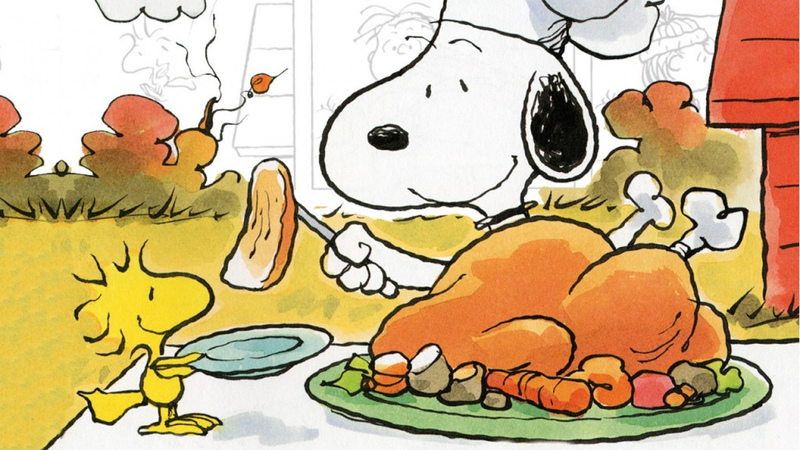 The best is having the Snoopy Thanksgiving feast while watching this episode. This program will be shown on ABC on November 21 at 8 p.m.
Based on the series popularity, the show had an average of 8 million viewers. 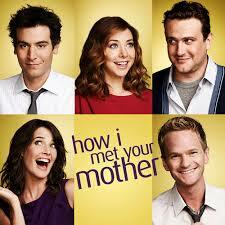 This show is about how Ted Mosby met the love of his life shown by via flashbacks. Mosby goes along this journey with his four best friends, Marshall Eriksen, Lily Aldrin, Barney Stinson, and Robin Scherbatsky. This is the friends first Thanksgiving together. Also it’s Marshall and Lily’s first Thanksgiving together as a married couple. In the episode, Eriksen and Stinson have a ongoing slap bet. Throughout the series Eriksen is allowed to slap Stinson three times. In this episode the slap bet is hangover Stinson head and it’s one of the main conflicts. I always enjoy watching this episode before Thanksgiving arrives.This episode doesn’t portray a meaningful message or anything like the other Thanksgiving specials I listed. I just like watching this episode, based on the fact it’s funny and crazy. It’s important to laugh in life and be goofy. Not everything in life should be taken so seriously, especially this episode. Also I feel like the whole slap bet makes the episode more interesting. There’s no other TV series I know has a slap bet that goes through the majority of the TV series. I would recommend this episode for a good laugh. If interested this TV series is on Hulu. This episode is on season 3, episode 9. This Thanksgiving special had 1.90 million viewers. Hart of Dixie is about a doctor, Zoe Hart, who is from NYC that decided to move to Bluebell Alabama to work at her deceased father practice. This episode is your untraditional Thanksgiving episode. In Bluebell Alabama, the residents celebrate Planksgiving. Planksgiving is when the residents dress up as pirates and eat fry fish. The myth in Bluebell is that the pirates saved the town on Thanksgiving after a huge hurricane. However, the true story is the founder of Bluebell and the Town Council spent the whole night fishing to have enough food for the whole town and blamed the kind act on pirates. This story made the town have hope again after the tradje. This episode is one of my favorite episodes in the whole series. Even though the idea of the episode is crazy and a little farfetch, the true spirit of Thanksgiving is all there. In the episode, a local hardware store is going bankrupt and the whole town pitch in to save the store. In my opinion, the spirit of Thanksgiving is helping others. I love how all the characters pitch in to help their neighbor. Also I love the residents Planksgiving spirit. Lastly, there’s no Thanksgiving episode like this one in any other series. I always find it refreshing to watch a different take on a Thanksgiving episode. Besides your typical Thanksgiving episode that is done by many other TV series. If interested this TV series is on Netflix. This episode is season 1, episode 9. Full house season one had about 9 million viewers. After the death of Danny Tanner wife, Pam. His best friend, Joey Gladstone, and brother-in-law, Jessie Katsopolis, move in to help Tanner raise his three daughters. The three daughters are DJ, Stephanie, and Michelle. This episode shows the Tanner family first Thanksgiving without Pam. The family was determined to have a great home cook Thanksgiving. In the end, the turkey was burnt black and the pie fell on the ground. Also Jessie was still struggling with his sister death. Watching this episode made me realize how important family is. In this episode, the whole family had each other backs during a difficult time. This episode made me cherish my family even more. Gladstone, Tanner, and Katsopolis never gave up on Thanksgiving and tried to make it the best Thanksgiving despite all the challenges. I always like to watch this episode to help me realize how thankful I really am. In addition, Gladstone jokes and personality always makes me laugh. In my opinion, Gladstone brightens up this particular episode. Lastly, this episode taught me not to cook Thanksgivings like the Tanners family. This episode taught me not to freeze pumpkin pie before the main event or to burn the turkey. Which those tips are very useful tips for my Thanksgiving future. If interested in watching this episode, the episode could be found on youtube. This episode is from season 1, episode 9.